Josh Smith should be a superstar in this league. On paper, he has it all. 6″9, out of control ups, good handle for a big man, a decent jump shot, and a defensive presence both on the perimeter and down low. However, he seems to be lacking the basketball IQ to ever get there. I don’t think the ATLeins want to pay a max contract for J-Smooth, so with free agency looming on the horizon Hotlanta doesn’t want to lose its best dunker since Dominique for nothing. 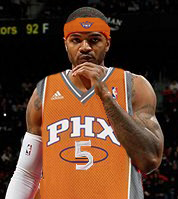 With that in mind, here are 5 Josh Smith trades that need to happen. 1. Josh Smith and Zaza Pachulia to the Suns for Marcin Gortat, Wesley Johnson, Jared Dudley and Jermaine O’Neal. The Suns get the opportunity to either max out Smith and make him the centerpiece of their rebuilding effort or lose him at the end of the year and have a boatload of cap room to work with. For the Hawks, Gortat allows them to slide Horford to the 4, where he is most effective, and Dudley is a valuable commodity on a good team with his versatility and knockdown shooting. The best part is this deal does not compromise Atlanta’s ability to sign a max free agent next summer, so they can continue living their Dwight Howard pipe dream. The Nuggets get a hyper-athletic big man to run the floor along with Iggy, Ty Lawson, JaVale and Gallo to create a team that can run the floor like Usain Bolt. The Nuggets have to give up Faried, which stings, but the rest of this group was not part of the Nugs long term plans anyways. My only question here is would the Nuggets be willing to pony up the money to re-sign Smith? If not, this trade does not work. For the Hawks, they get a great wing three and D guy in Wilson Chandler, and a rebounding (if defensively challenged) machine in the Manimal. The cherry on top comes in Mozgov and Brewer, who are expiring contracts that can contribute to a playoff push this year. A bit of a risky play by the Pistons. They have Maggette’s expiring contract just begging to be dealt, and this may be the deal where they use it. Andre Drummond has shown he is the Pistons Center of the future, and it is questionable if Monroe and Drummond can be effective playing together. 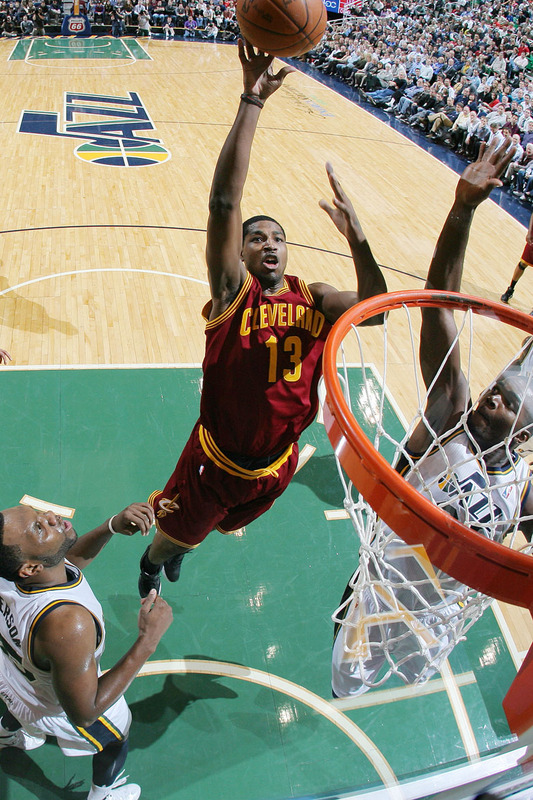 Instead, you move Monroe for Smith and unleash the most devastating shot blocking duo in the league in Smooth and Dre. As for the Hawks, they get a cheap piece in Monroe who should be able to play well with Horford and still keep enough cap space to chase a free agent. If the Pistons had the guts to do it (and could get Smith to commit to resigning), this is the best trade out there. Not all that exciting, but a good basketball move for the Hawks. They get two expiring contracts in Casspi and Walton as well as two promising young big men on rookie contracts in Thompson, who has been great since Varejao got hurt, and Zeller. They now have two assets who they may not necessarily keep (because of Horford and the possibility of Dwight) but can be traded for other players in the future. As for the Cavs, they push their rebuliding effort forward a bit and have an exciting starting five of Kyrie, Waters, Smith, Varejao and whomever they get with their lottery pick in next years draft. That is a playoff team in the East. Lets start by saying this trade will never happen. It goes against the Thunder’s longstanding belief of building through the draft and not overpaying for talent (see Harden, James). But man would this be awesome if it happened. Throw Josh Smith at PF and let Serge take his shot blocking prowess to Center, and who is beating this team? They do little to comprmise their team outside of giving up some low post defense in Perkins, as Maynor has fallen out of the rotation in favor of Reggie Jackson, and now can trot out a lineup that has four of the best athletes at their position (Westbrook, Durant, Smith, Ibaka) in the world. The Hawks get a great haul of prospects in PJIII, Lamb and Maynor, although it comes with having to swallow Perkins contract. They still should have enough money to chase a free agent though, which is really all the Hawks want.